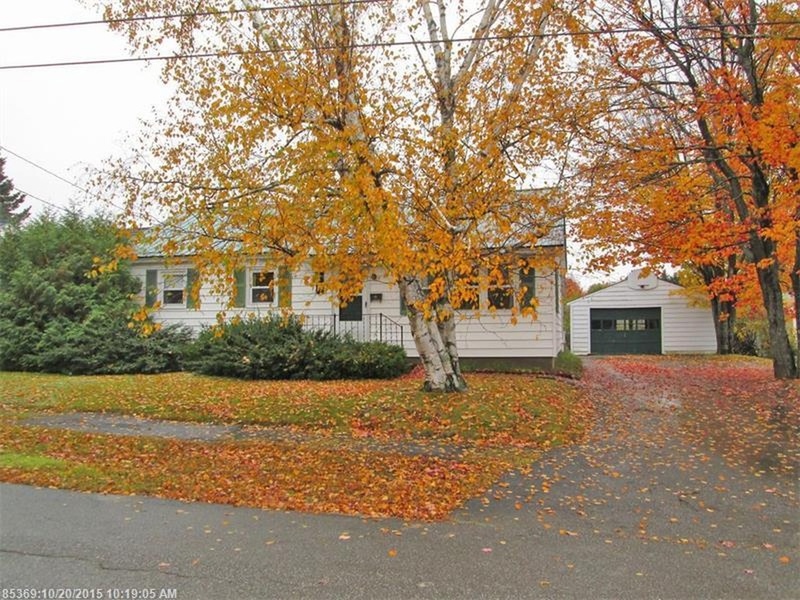 In 1956 when I was 7 years old and going into second grade, my family moved into our new home at 18 Winter Street in Millinocket, Maine. We had been visiting the street and the lot and the growing house on it for months. We started going there when they were clearing the trees except for the few maples and white birch that still stand there today. My parents were honest hardworking people. My father’s family had never lived in a house of their own, and so this was a huge source of pride for him. He worked at the Great Northern Paper Company, and he had earned his way since he was about 15 years old. GNP essentially gave employees a town lot if they wanted to build a home. My family was housed in a two room “shack” (my mothers affectionate term for our previous dwelling) at the edge of the river on Aroostook Ave. We had a toilet, and oil burner stove, and a kitchen sink, but no bathtub or vanity sink. My mother, father, brother and I all slept in the same room, so a new house with separate rooms for all of us was a dream. The mill not only gave us a lot, they provided heavy equipment to help dig the foundation, let us use cement forms for the walls of the foundation, and if the owner bought a case of beer, it was pretty easy to get a crew to help mix and pour a foundation. This was the way Millinocket use to be. Everybody worked together and helped each other, no matter what their status was in the community. While the house was being built, we kids played, snuck candy, tormented and all got use to each other. There was a new brood of kids there and it kept growing. A lot of the lots on the street hadn’t even been cleared when we moved there, so new kids showed up all the time for a while. My parents moved us in before all the sheetrock walls, cupboards, or doors were in place. I remember he smell of lumber. It was framed and sectioned off but it took a long time for Dad to finish it, with walls, finishing the wood work, even putting up cornices and doing all of the painting. Mum made draperies, pillows, and upholstered old furniture for it. The most grueling and beautiful work went into the hardwood floors that my father laid by himself until his knees could hardly bear another day laying tiny pieces of wood. My mother brags that those floors were what she wanted and so he did it. The floors are in amazing condition to this day, but much of it is covered with some aging carpet in the living room and hall. Mum remembers Dad’s gift to her with clarity. There are only a few of the original neighbors living on Winter St these days. Most of the elders have passed and some have moved on. My mother and father were some of the last remaining there. Dad passed in 2009, and my mother’s memory has failed so badly that she had to move into assisted living just this past June. What an awesome street to grow up on. We played all year around, outside. I remember the parents getting angry because none of the kids would come home the first time they were called to. We had such a great time playing all sorts of games. Red Rover, Tug of War, hide and seek, jump rope, dodgeball, marbles. We got along,and rarely argued or fought. I loved growing up on Winter Street. We have to sell our home, the only childhood home I remember in great detail. We won’t be able to go there to sit on the porch and visit with the few old neighbors who still live there. We won’t be solving anymore problems of the world on the back porch, while Dad smoked and Mum cooked. No more kids or grandkids of the McCleary’s will visit the residence. No more trips to the golf course to go sliding. No more gatherings in our living room after a funeral, birthday party, holiday celebration or other event sad or happy. No more lamb barbecues, spaghetti feasts or holiday dinners. This was the place that my two brothers and I brought our own children and my granddaughter to see where and how we lived as kids. My youngest brother was born 18 years after I was and so he only knew this house as his home. My older brother and I remember the building of it and moving in. I am going to give a copy of this blog to whomever buys my mothers home, my home, my brothers’ home. I think it is important for them to know the history of it. I hope it will mean something to them, to understand that my parents’ blood sweat and tears went into this house, and some awesome memories stay there. It breaks our hearts to sell it, but we hope that a new young family will treasure it the way we did. We hope that they will respect and love the home and the neighborhood, and make a wonderful life there. Our best wishes to the new owners to have a long and happy life at 18 Winter St.